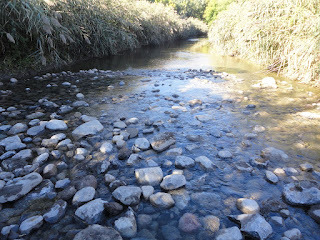 1) Project Watershed Meeting - Monday 3:30, Nov 28. 2) CNY Chapter Meeting - Tuesday, 7:00 pm , Nov 29. Our agenda will be a wrap up of Chapter activities accomplished this past year, and making plans for Chapter projects & activities in the coming year. As a Chapter, we accomplished a lot in 2016, but there's plenty of challenges for next year with a new administration. Also to be discussed will be a letter sent County Legislator Plochocki on a proposal for passage of legislation creating an Onondaga Watershed Advisory Council or Board. 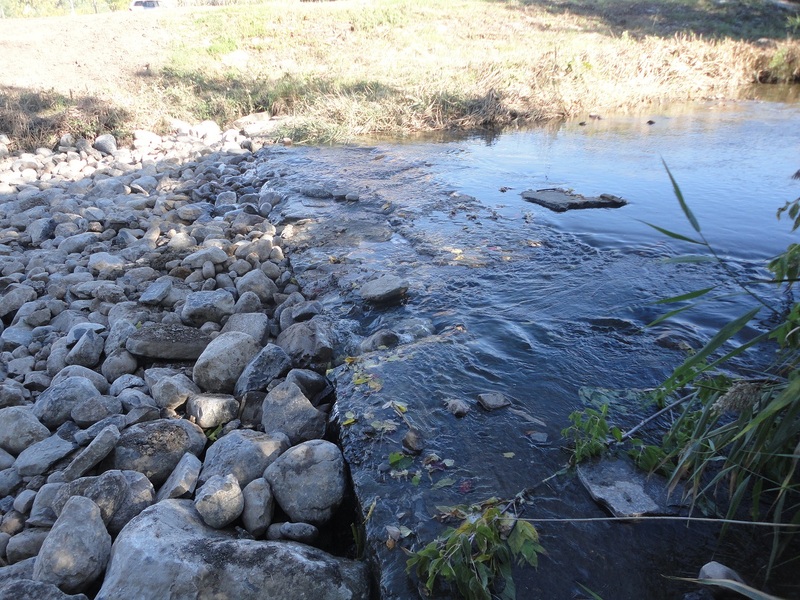 A 2014 article in the Great Lakes Echo newsletter notes that rivers in wintry cities remain salty year-round. About 35 billion pounds of salt are applied to wintry roads in the United States every year. Much of it winds up in rivers and lakes. The Community Science Institute, located in Ithaca, has collected volunteer stream data for several decades, and published an article on ‘Road Salt in Local Streams’ in spring of 2015. 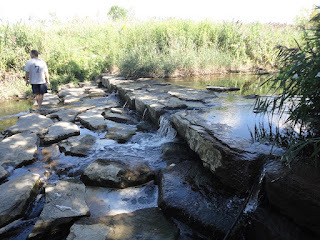 The article indicates that the majority of road salt (mostly consisting of sodium, calcium, and magnesium chlorides) enters streams by infiltration to groundwater. Chloride from road salt is absorbed into groundwater over time, eventually leading to increased chloride levels in streams. 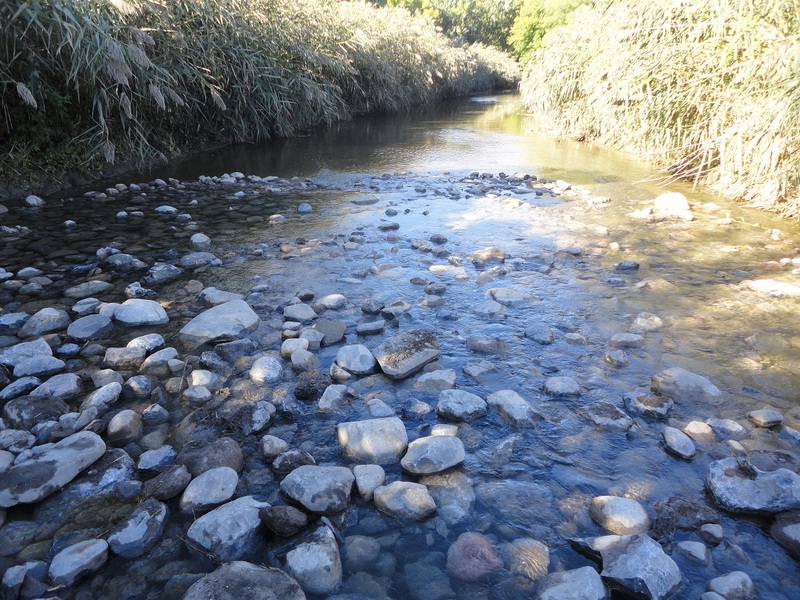 An interesting observation in the same article is that the chloride levels stay relatively stable in most streams throughout the year, rather than increasing in the winter and decreasing in summer. The salt does not simply wash off the road and directly into the stream; it is apparently a slower, longer process. We have found similar results for chloride measurements taken in various urban/suburban streams in Onondaga County during various late winter through mid-fall surveys. 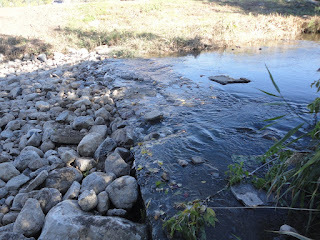 The South Branch Ley Creek project site with improvement with new rainfall. We received over 4 inches of rain last week, and it looks like that was all we needed to fill the in voids between the stone fill. 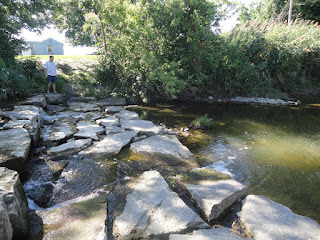 The stream is now flowing over the stones like we expected, and fish should be able to make their way upstream unobstructed. 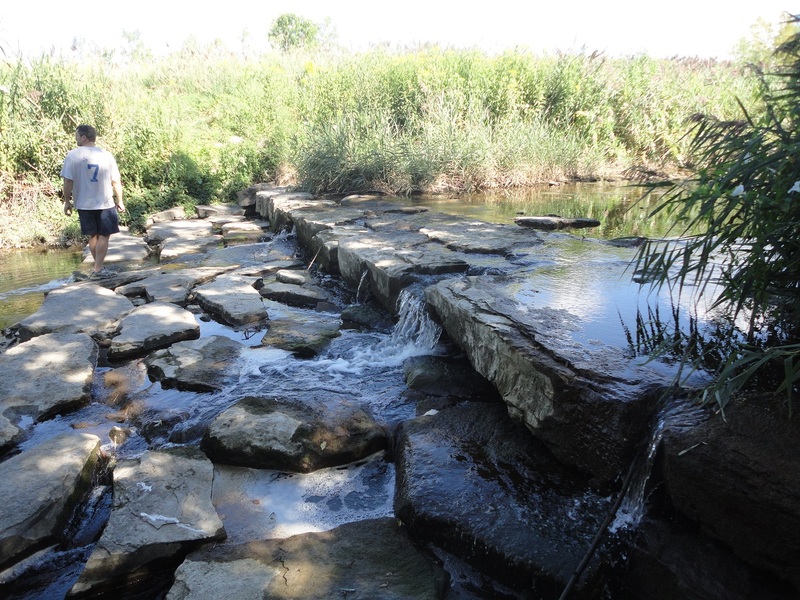 Yesterday marked the completion of a six year long Onondaga Lake tributaries restoration project funded under the USEPA's GLRI (Great Lakes Restoration Initiative) grant program. This was a joint effort between the Central New York Chapter and the national Izaak Walton League of America. 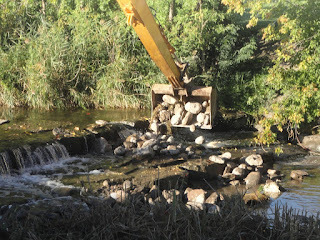 The initial phase of our tributary restoration involved Beartrap Creek in Salina and Baltimore Brook in Marcellus, while the final project phase involved developing fish passage structures below a stone dam site on the South Branch of Ley Creek in the Town of DeWitt. See attached for photos of the dam site on the South Branch before and after installation of approximately 330 tons of stone fill that will provide a graded passage for upstream migration of fish from Onondaga Lake through its Ley Creek tributary.